Joe Rogan put forth his belief that Dana White created the McGregor/Poirier rumours in order to coax Nate Diaz into taking a third fight with Conor instead. Dana surprised the MMA community to a certain extent when he revealed recently that he believes Dustin Poirier to be the perfect opponent for Conor McGregor’s next fight. For all intents and purposes, it’s a fight that makes sense. 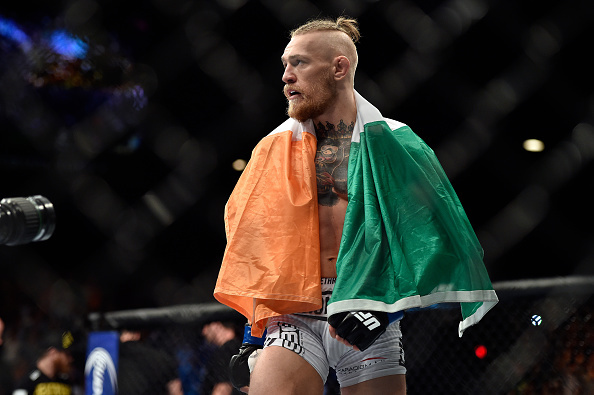 The pair shared the octagon together back in 2014 – where Conor, of course, won by way of first-round knockout. In the time since, though, I think it’s fair to say that Dustin has evolved his game tremendously – becoming a top player at 155lbs. Speaking alongside Yves Edwards on the latest edition of his The Joe Rogan Experience podcast, famed UFC commentator Joe Rogan explained how that admission on the part of White may well have been a subtle prod at Conor’s even greater rival Nate Diaz. Diaz was scheduled to face Dustin Poirier at UFC 230 but unfortunately didn’t fight on the card after Poirier pulled due to injury. By hinting that Dustin is next for Conor, the UFC – according to Rogan – could be trying to coax Nate into fighting again or at least, returning to the table for negotiation. “Here’s the cynical part of me. I know that Nate Diaz was supposed to fight with Dustin until Dustin had to pull out with a hip injury. Ok, so how bad is his hip injury and when is it going to heal? “Them saying that Dustin is going to step in and fight Conor, that is a good fight – but does that make Nate Diaz go ‘what! ?’ and does that make Nate come back to the bargaining table – cause that’s the big money fight. “If I was a promoter I’d be like ‘Nate, what do we have to do?’ If you wanted to make money – and that’s what I presume that they all want to do – NATE MOTHERF***ING DIAZ! “Go party with him. Become his good friend, lighten him up. Give him what he wants. Give him a lot of money.